Teams is a chat-based collaboration tool that provides you with the ability to work together and share information with colleagues in a common space. It allows you and your colleagues to interact in a chat-based workspace perfect for the modern way of working. 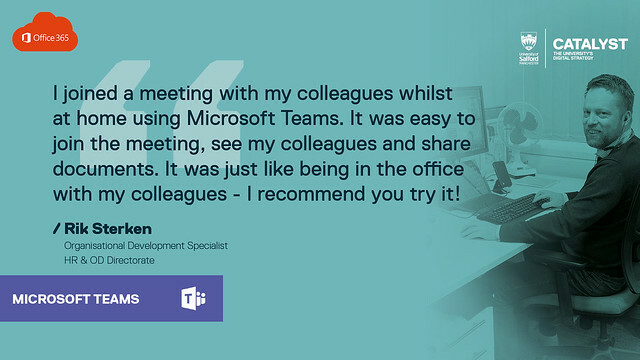 Teams brings together your people, their conversations and their content for a more productive way of working. The chat function lets you have threaded conversations, so everything is recorded in one, easy to find place. There’s no more digging through your inbox looking for emails or even the bombardment of emails as group conversations take place. Your conversations can take place as a team discussion or you can chat privately.